There does not have to be a chasm between a Christian treatment program approach to drug addiction and a medical or scientific approach to addiction recovery. Even if your life experience doesn't include addiction, following the 12-Steps links us to the creator, to make His presence in our lives a vital, life-giving pathway to fulfillment. A Christian treatment program approach is a holistic approach to treat the entire person; body, mind and spirit. Christian treatment centers consider the medical needs of patients, but they also recognize the spiritual element of recovery. 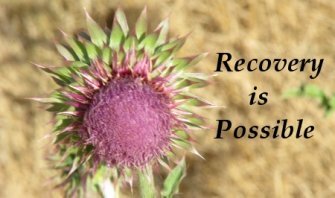 It is one thing to get over the immediate physical affects of drug addiction, that is to go through detoxification, but is quite another to continue to work at the difficult task of living without the crutch. From a Christian perspective, we are told time and again in the New Testament that God will meet us where we are and that we are already loved and accepted. The help that you need, the power you require and the relationship that can guide you through recovery is not going to judge you. You have a true friend, who has not changed and will not change. You have a friend who knew you long before you were born and made the personal decision to lay down his life for you for no other reason than he loved you. That sounds like hope to me. What does it sound like to you? Christian Treatment can be VERY useful and effective in the treatment of drug and alcohol addiction. Christian Treatment is widely available for free in many cities and at many churches, may of whom use the Celebrate Recovery program created by Saddle Back Church in Orange County California. Christian Treatment can help a person have a "spiritual awakening" often considered by experts to be required step when overcoming drug and alcohol addiction. Christian Treatment helps those who already have a faith background, tap into their higher power and through submission move past addiction into recovery. Christian Treatment was the basis of the 12-Step process and helped the founder of AA, Bill W., to end his terrible addiction and learn to live a "happy joyous and free" life.